Look at me! 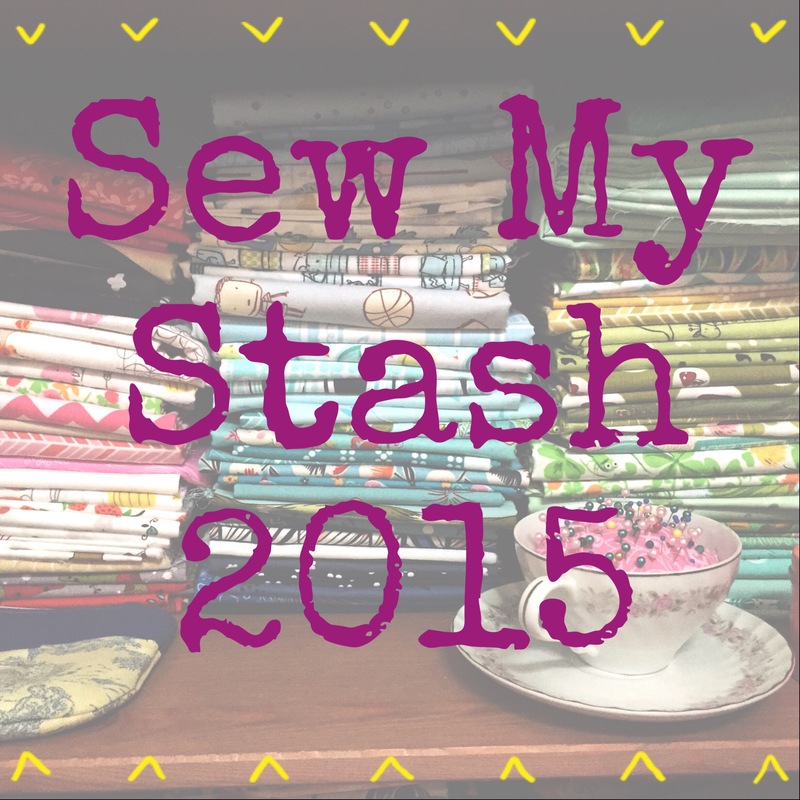 Entering a second quilt in the Blogger’s Quilt Festival hosted by Amy’s Creative Side! 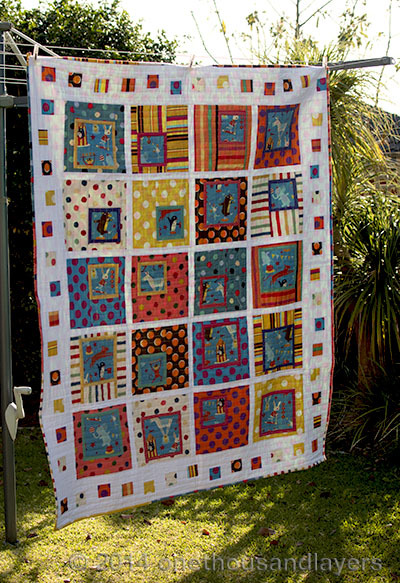 This quilt, Circus Circus, was finished only a few months ago now as a gift for our little nephew on his arrival to the world. The original post is here. 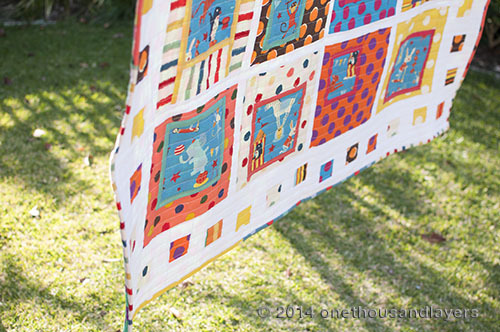 I first started this quilt when I was pregnant with our little girl. It sat stagnant for a while but I’m so pleased it’s completed, and I’m so in love with it. It’s perfect for baby S.
I machine quilted it on my little domestic machine, and while it was challenging because of the size, I am so happy with the finished product. Bears on skates are fun! 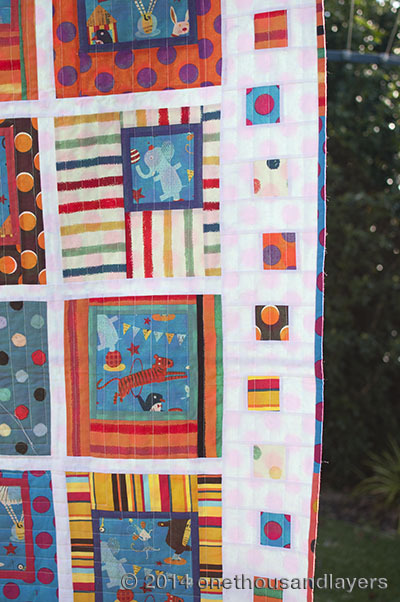 I love how bright and cheery this quilt is. 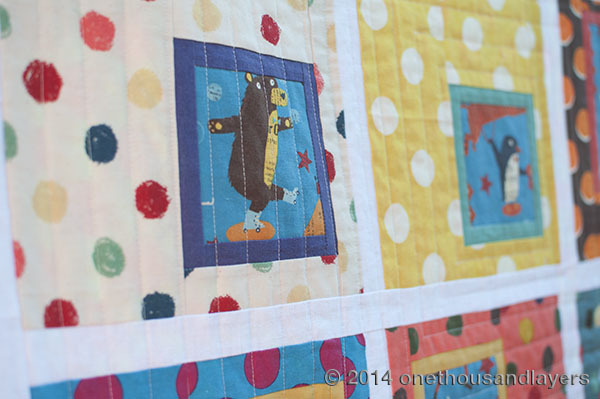 Favourite Part: The fussy cut squares and the overall finish. Surprised myself with the quilting! 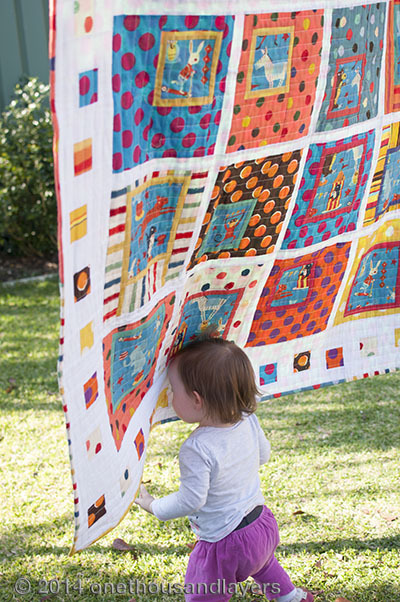 So, if you have read this far…thank you, especially if you are already familiar with this quilt. 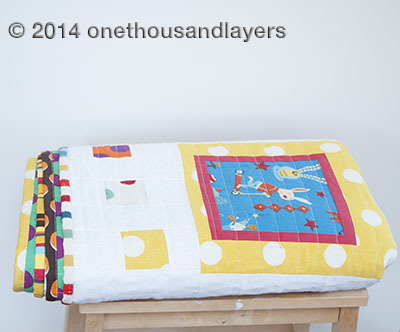 If you like my quilt, why not throw a nomination my way by clicking here. Thanks lovely peoples. Thank you so much Cecilie. That she does….I think she will be sad to see it go. I really like the wonky squares border! Really works! I love this border too Alyce. 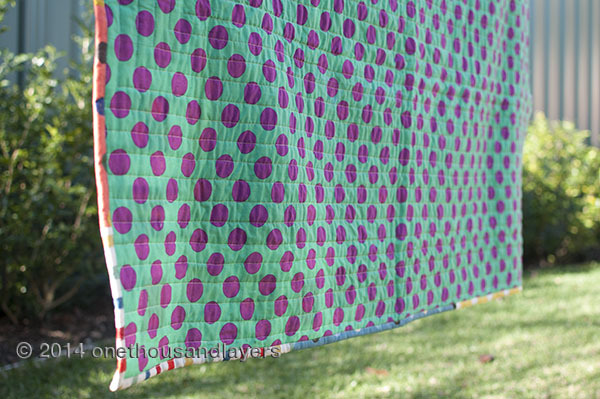 It’s quite palyful, and really adds to the whole fun vibe of the quilt. Love the offset look of the blocks. And that border… too fun! Great work!! 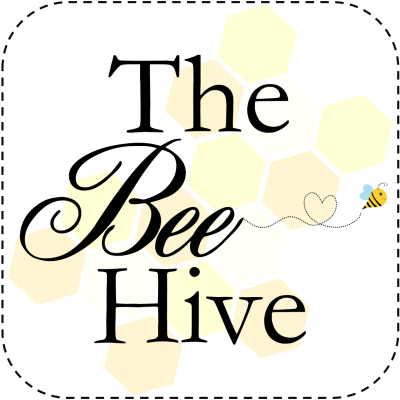 Thanks Christine….I started off feeling a bit ho hum about this one when I went back to it, but now I love it! 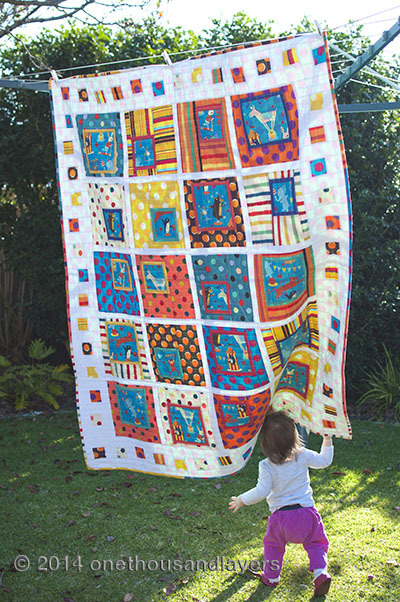 So cute and I love the wonky squares in the border – it really adds to the overall look of the piece.